MANILA, Philippines — Philippine authorities have arrested the head of an online news site that has criticized the president's policies. 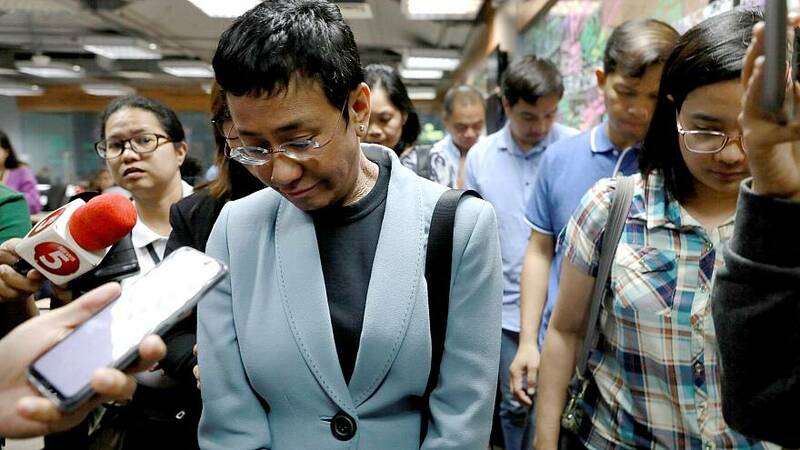 Maria Ressa, who was selected by Time magazine last year as one of its Persons of the Year, was arrested over a libel complaint which Amnesty International has condemned as "brazenly politically motivated." President Rodrigo Duterte's government says it was a normal step in response to a private complaint. Rappler is one of several news agencies deemed critical of Duterte's policies, including his anti-drug campaign that has left thousands of suspects dead.